to be exploring all of the new digital tools through the Digital Humanities program and to learn all about research within DH. At school, she is a member of the Rooke Chapel Ringers, the philosophy club, the Arabic club, and she works for the Samek Art Museum. In her free time, she enjoys watching movies and learning how to play the guitar. She hopes to have an extremely productive summer and create an amazing digital project! Abby is from North Kingstown, Rhode Island. She will graduate in May 2019 with a B.A. in Music with a concentration in Cultural and Critical Studies. Her work this summer is focused on online education, and other digital education tools for American students of Gamelan. 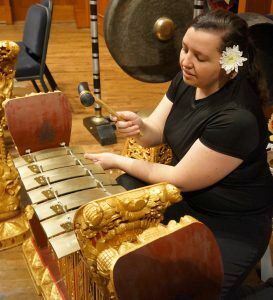 She plays in the Bucknell Symphonic Band, and the Bucknell Gamelan Ensemble, as well as a small gamelan ensemble, Saiban. Abby works for the Symphonic Band score library, and has a good dog, Murphy. Craig Terry is a rising sophomore at Bucknell University; Class of 2021. His intended major is Film and Media Studies. 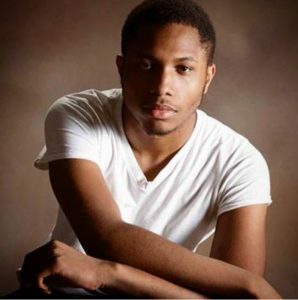 He is currently employed in Bertrand Library as a proctor and multimedia consultant for the Digital Video Editing Lab. During his time with the Digital Scholarship Summer Fellows, he focused on how media representation corresponds with reality. Specifically, how films depict individuals with mental illness and the relationship those representations have with racial identity. Nicholas Nam is a Film/Media Studies scholar in his fourth year at Bucknell University. This summer, his research will focus on the historic Campus Theatre with attention placed mostly on the history of its founding, ownership, and exhibition. 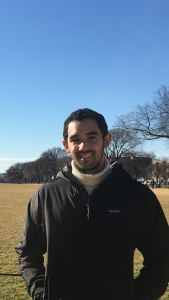 In conducting this research, Nicholas’ goal is not only to digitize a comprehensive database for the Campus Theatre but also to look at wider socio-political trends associated with film exhibition within small, rural American towns.